Passed peacefully away at the Health Sciences Centre on Sunday April 22, 2018 in the presence of his loving family, Edward Lucas of Roaches Line at the age of 80. Predeceased by his Parents Chesley and Margaret Lucas, Sisters Martha Lacey and Junette Mealey. Leaving to Mourn: Wife Marie (nee Lane), Sons: Eddy (Susan Deir), Robert (Alvie Nichol), Shawn (Tina Petten), Colin (Suzanne), and Paul, Daughters: Rosemary (Billy) Scott, and Wanda (Randy) McCue; Grandchildren: Billy Scott, Courtney Sheppard, Nicole Bussey, Christopher Deir, Amy Lucas, Brittany Lucas, Tiffany Woodfine, Alyssa Woodfine, Abby McCue, Emma Lucas, Jack Lucas, Great Grandchildren: Jasmine, Lucas, Carter, Shyanne, and Seth, Brothers: Chesley (Rose), Robert (Ingrid), Norman (Evelyn), John (Sandra), and David (Brenda), Sister: Irene Edwards and also numerous In-Laws, nieces and nephews. 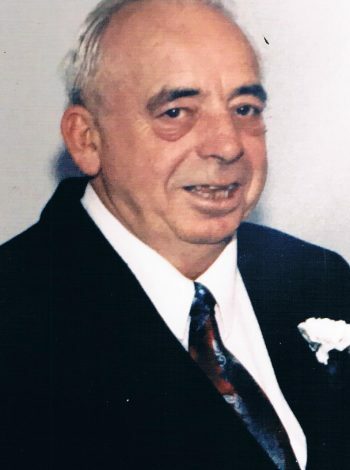 Funeral service will be held from the Carnell Memorial Chapel on Wednesday, April 25 at 1 p.m. with interment to follow at the the Anglican Cemetery, Kenmount Road. Interment to follow at Kenmount Road Anglican Cemetery. Sorry to hear of Teddy’s passing. our thoughts and prayers are with you at this sad time. To you Marie and your family- Our sincere condolences in the loss of your husband Teddy, thoughts and prayers to all the Lucas’s and their families RIP Teddy…..From Dave & Bernadette Earles and family. Marie and kids- Our thoughts and prayers are with you all. Always remember him.